Will a future version of the iPhone include the capability of interchangeable lenses? A removable iPhone back panel that would include the camera lens has been spotted in a patent document. It seems to show that the device would work either by swapping the panel, or rotating the panel to change lenses. If the device makes it into the iPhone 5 or beyond, it would be a very interesting development for mobile phone camera technology, and opens up a whole world of possibility for accessories, upgrades and spare lenses. Smartphones, and in particular the iPhone, have been blamed for the decline in entry level compact camera sales, but there are still limitations to using such devices. 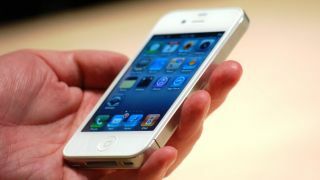 The most recent camera found on the iPhone 4S includes an 8 million pixel sensor and an f/2.8 lens. It has proven to be one of the phone's key selling points, so it's seems likely that Apple would be keen to capitalise on this further. Rumours of an iPhone 5 release date have been circulating since, well, the iPhone 4S release date, but the latest suggestions are that it will be announced in October. Of course, it's not known whether the patent discovered relates to the next iPhone, or another device in development later down the line. Notorious for fiercely guarding details of its upcoming products, it's unlikely that Apple will deny or confirm any specs, so we'll just have to keep guessing whether this latest development is true. Watch this space.